When I stood in front of the stall and in the midst of deciding whether I should go with my usual order, which is the black carrot cake or to try the white carrot cake. Auntie smiled and asked me, "White one ah?" I nodded and said, "The $3.00 portion with extra chili." There is also a smaller portion available at $2.50. I was asked to take a seat first. While waiting, a customer came by then walked away without making an order. When my order was ready, there was another plate of a smaller portion of white cake and the same customer came by to collect it. I collected my plate of white carrot cake and ordered an iced coffee at the stall just next to it then walked away to find a table. 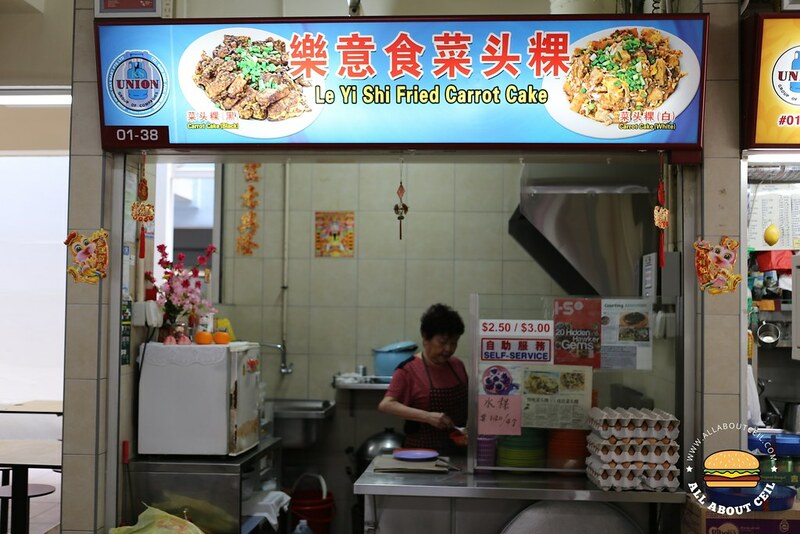 I had tried their black carrot cake, it was good but not particularly memorable and thus, I did not expect much. 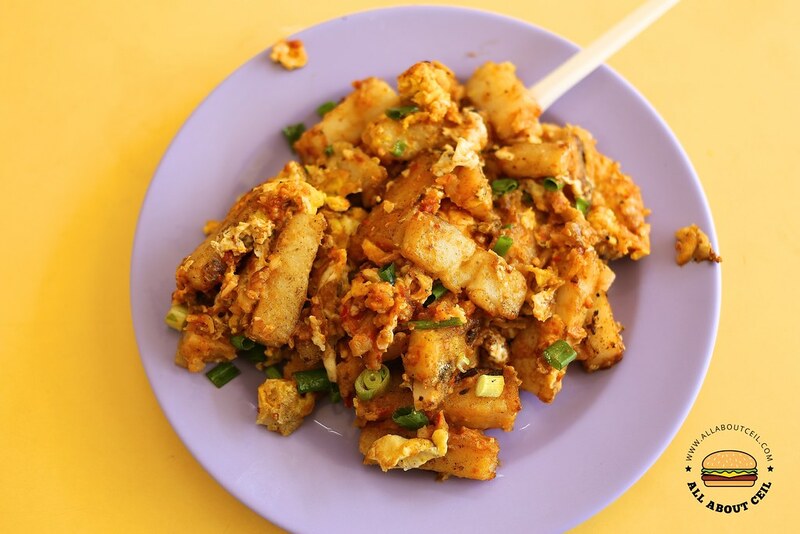 The chunky pieces of carrot cake were evenly pan-fried to a delightful crispiness and with a generous amount of egg as well as a handful of preserved radish (chye poh) and chopped spring onions. The spiciness of the chili added flavor and further enhanced it. I took a bite and quite unexpectedly, it was love at that first bite. This is easily amongst the nicest white carrot cake that I had. 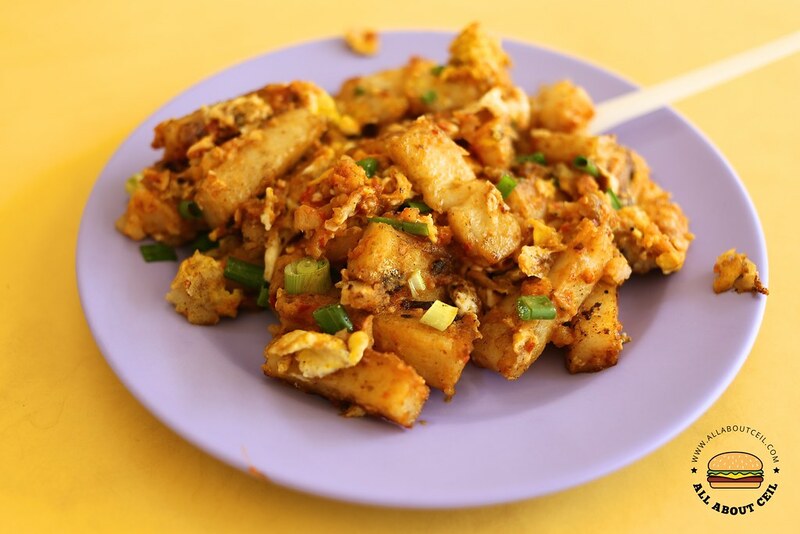 The other one used to be Ke Shuang Xing Fried Carrot Cake at North Bridge Road Food Centre but they are no longer serving the traditional fried carrot cake but a fusion version. 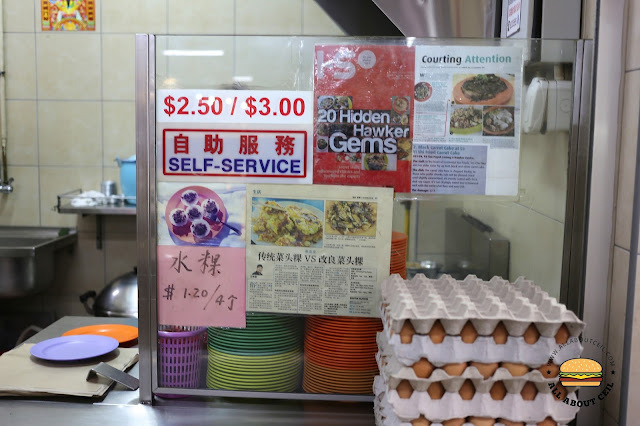 It was so good that I have to go back to tell that auntie and also to take away a packet to eat it later. She smiled when she looked up and saw me. I said, "The white carrot cake is really nice, I am back to take away a packet." She responded with a wide smile and said, "Thank you." Then, I asked, "How long has this stall been around?" She said, "I am doing this for more than 30 years." Auntie then asked, "Have you ever eaten before?". I replied, "I have tried the black one but the white one is even nicer." She smiled and replied, "Both are equally good.". Then I said, "I remember your hubby used to come by to help you." She replied, "He is only here on the weekends.". She was telling me that she is here as early as 4 am to start the preparation. She said, "After cutting those carrot cake, I am ready to start." I asked, "Do you still make those carrot cake?" She said, "No, no more." She added 2 eggs to my $3.00 portion of carrot cake. She added extra chilli to fry it together. She said, "I made the chilli myself.". She raised up a metal pot to show the chilli in it. She handed my packet of fried carrot cake to me in just a bit. She said, "Next time, you just need to tell me the white carrot cake with extra chilli."